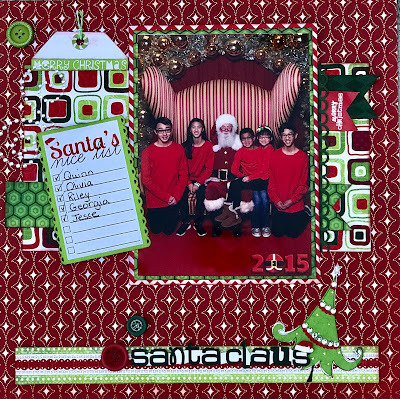 Here's a Christmas layout using the sketch challenge at Stuck Sketches for inspiration. I meet together with my scrappy girlfriends once a week to scrap. And this is what I threw together at our last get together. It's fun to get to be a little bit creative with your friends! Thanks for stopping and looking today! Until next time...happy scrapping! It's great to scrap with friends. I love your Christmas layout for this challenge, it looks great, cute tree. Thanks for joining us at Stuck?! Sketches! Well your "throwing together" worked beautifully on this lovely festive page. Thanks for joining us at Stuck?! Sketches! 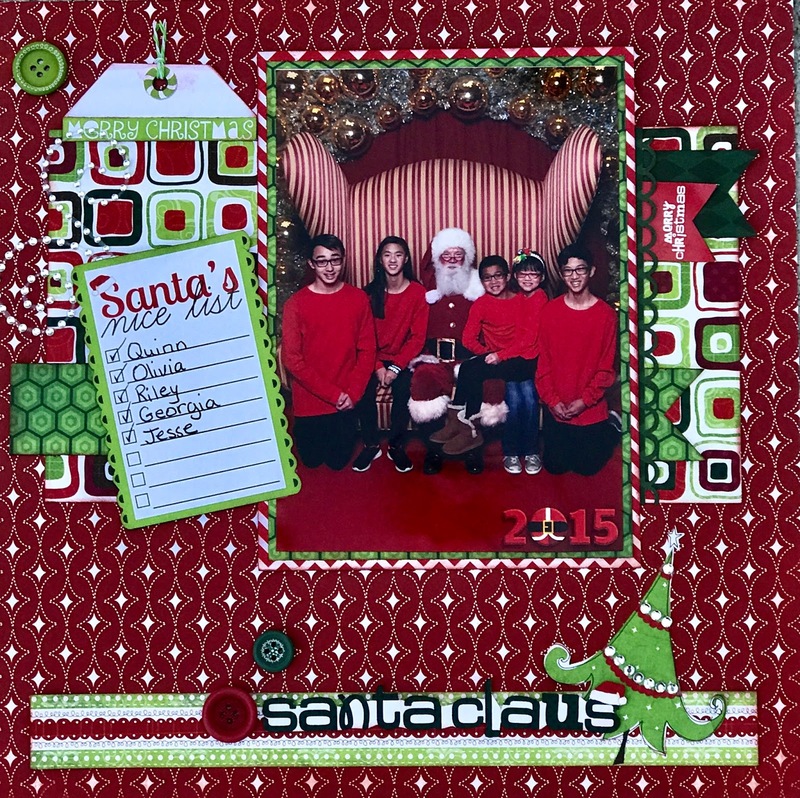 Such a pretty holiday page, love the font on your alphas too! Thanks for joining us at Stuck?! Sketches! What a wonderful holiday page! Love that little tree at the bottom! So happy you played with us at Stuck?! Sketches!